LA-native and NBA player Nick Young aka Swaggy P of the Los Angeles Lakers had a good game this past Friday (November 22) against the Golden State Warriors. He scored 21 points off the bench. The Lakers defeated Golden State 102-95. Was Swaggy P putting on a show for Rihanna who sat courtside? “I seen her end up saying ‘Swaggy P,'” Young said. “She called my name“. 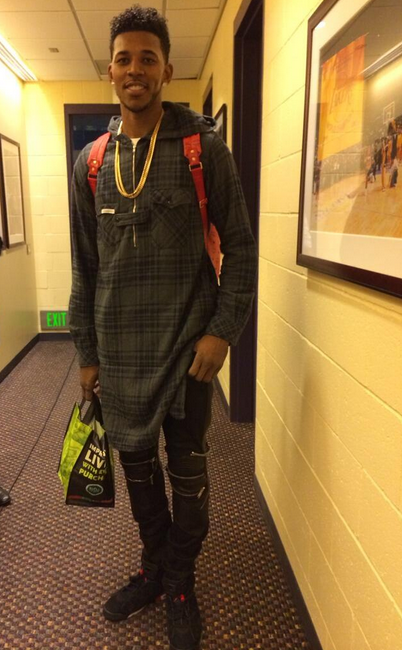 Young arrived to the Staples Center in a Kanye West/Michael Jackson-inspired outfit. 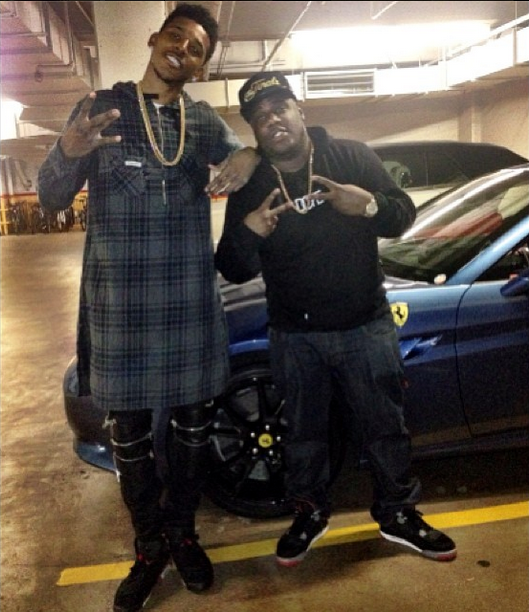 He wore an oversized plaid shirt paired with $949 Saint Laurent Leather & Denim Biker Jeans which rapper Future last wore here. 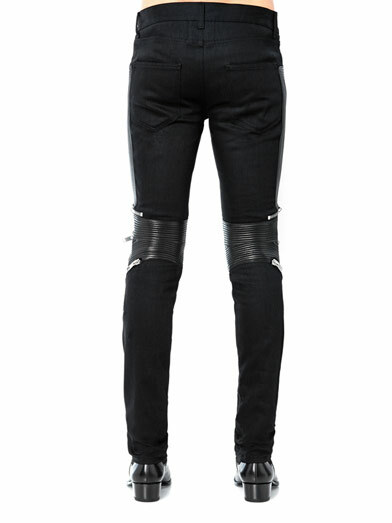 These Saint Laurent skinny-leg jeans feature ribbed leather knee panels with silver zip details. They’re also lined with cotton for optimum comfort. You can purchase them at Matches Fashion. 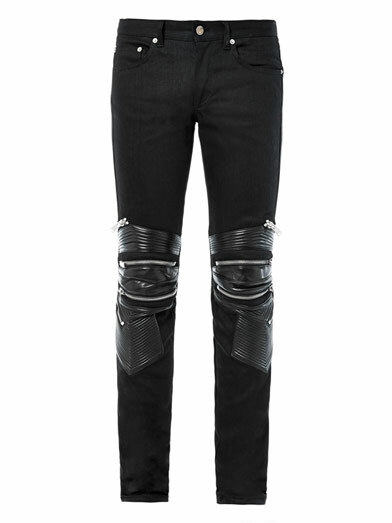 The brand definitely takes moto-inspired denim to the extrem with this heavily embellished pair. 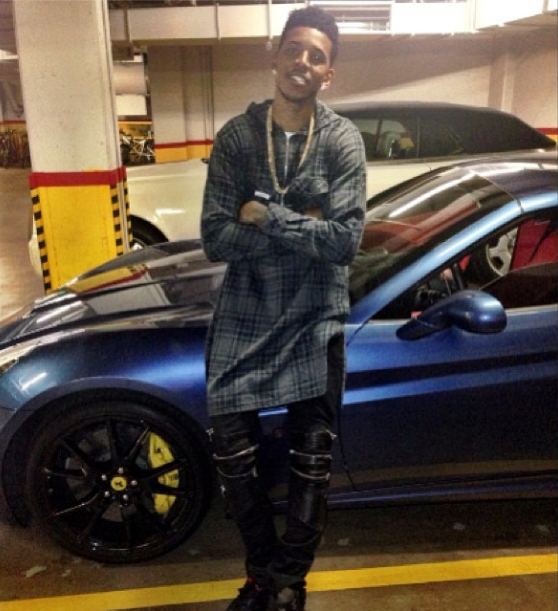 I like Swaggy P’s style and attitude. He’s a happy person that feeds on his own confidence, so when he feels good about himself, he becomes a great player on and off the court.